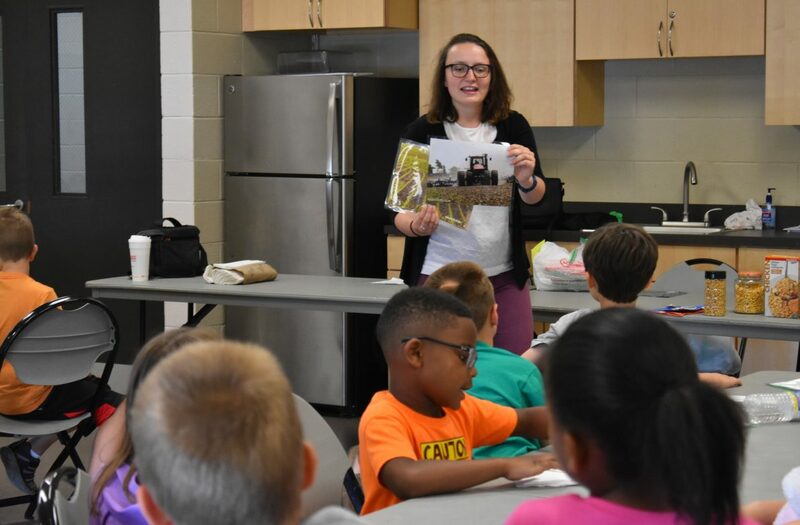 The Illinois Agriculture in the Classroom (IAITC) program continued to provide a strong avenue for children to learn about agriculture this year, reaching more students and awarding more grants to support local efforts than ever before. County coalition grants marked an all-time high for funding and number of counties served this year. Seventy-nine coalitions serving 89 Illinois counties were awarded $640,000 in grant dollars which can be used for materials, trainings, educational lessons and activities taking place during the 2018-2019 school year. In addition to record students reached, 41,369 teachers and 1,166 pre-service teachers learned how to incorporate agriculture into their curriculum while at the same time, meeting state learning standards. County coalition grants are made possible through funding from the IAA Foundation, the charitable arm of the Illinois Farm Bureau. The IAA Foundation raises funds for the Illinois AITC program each year, and in addition to county grants, provides funding for Ag Mags, teacher grants, Summer Ag Institutes and more. Partner organizations of IAITC include Illinois Farm Bureau, Facilitating Coordination in Agricultural Education, University of Illinois Extension, Illinois Beef Association, Illinois Corn Growers, Illinois Pork Producers, Illinois Soybean Association, Midwest Dairy Association, Illinois Department of Agriculture and the Association of Soil and Water Conservation Districts. In addition, annual donors include agribusiness partners and event participants with an interest in supporting the future of agriculture. For information on how individuals can contribute, visit www.iaafoundation.org. For information on IAITC, visit www.agintheclassroom.org.